By car – leave the M1 at junction 25 and follow the A52 towards Nottingham. After 4.5 miles, turn right at the roundabout onto the A6464 Woodside Road. Turn left at the next roundabout to enter the University of Nottingham’s West Entrance. Follow signs along the Beeston Road to the East Midlands Conference Centre. For sat-nav systems the postcode is NG7 2RJ. By train – the nearest stations are Nottingham and Beeston. From Nottingham station, it is a 15 minute taxi ride to the conference centre. Alternatively the 34 bus may be taken to the Portland Building, or the tram to University Boulevard (see map). Beeston station is an 8 minute taxi ride away, or the Y5 bus may be taken to Wollaton Park Gates. Taxis are pre-bookable with Nottingham Cars (0115 9700 700) or DG Cars (0115 9500 500). By air – East Midlands Airport (EMA) is a 25 minute drive from the conference centre, with shuttle buses available to the city centre. 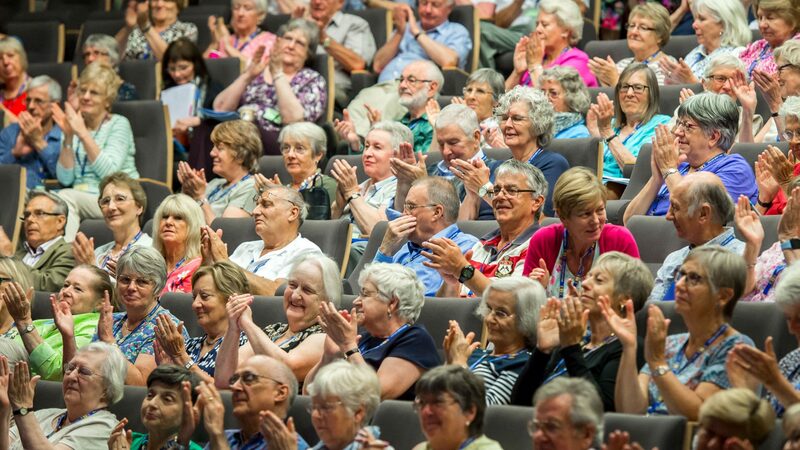 Please head straight to the U3A reception in the conference centre, before heading to your accommodation (if applicable), to register and to collect your badge. If you arrive before 15.00, lunch is available to purchase in Bramleys Brasserie in the Orchard Hotel. Parking at the conference centre is free of charge, and disabled bays are available. Further parking is available at both halls of residence, but you must display a permit at all times at these locations. Hall parking permits are available free of charge from the relevant reception. Free wifi access is available in the conference centre, hotel and student accommodation. For those staying in the student accommodation, it is advisable to pre-register for wifi access in advance. Click here for more information (University of Nottingham website). All accommodation is en-suite, including student accommodation. Towels, toiletries and refreshments are provided, and irons and hairdryers are available on request from reception. Breakfast is served in your accommodation. All meals except breakfast are served in the Banqueting Suite. Menus will be available on the day. On Tuesday evening, dinner will be followed by entertainment provided by the West Bridgford U3A guitar group, Greythorn. On Wednesday evening, ukulele enthusiasts will have the opportunity to participate in a jam session in the Atrium bar, led by Ed Link and Rose Marie Bradley. Non-players may opt to come and sing along. Tea and coffee machines are available for use, free of charge, in the conference centre. One or more bars will be open on both evenings from approximately 18.00. The Auditorium is equipped with a hearing loop system. Cash machines, shops, and cafes are available in the Portland building (see map). Residential delegates may make use of the facilities in the David Ross Sports Village (see map) free of charge by showing their room key. If you have any queries or issues during the conference, come and speak to the friendly staff at the U3A reception. Delegate lists will be available on request from the U3A reception. Please be aware that a professional photographer will be taking pictures throughout the conference, and that the events in the Auditorium on the Thursday will be live streamed via the U3A website. If you would like to opt out of this, please speak to the U3A reception. Please check out of your accommodation after breakfast. Luggage storage facilities will be available in the EMCC on Thursday. For those travelling to train stations, taxi pool lists will be available on the day.